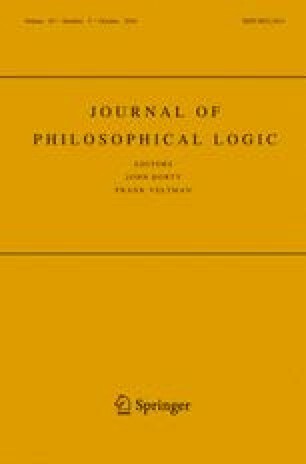 Kripke’s theory of truth (Kripke, The Journal of Philosophy 72(19), 690–716; 1975) has been very successful but shows well-known expressive difficulties; recently, Field has proposed to overcome them by adding a new conditional connective to it. In Field’s theories, desirable conditional and truth-theoretic principles are validated that Kripke’s theory does not yield. Some authors, however, are dissatisfied with certain aspects of Field’s theories, in particular the high complexity. I analyze Field’s models and pin down some reasons for discontent with them, focusing on the meaning of the new conditional and on the status of the principles so successfully recovered. Subsequently, I develop a semantics that improves on Kripke’s theory following Field’s program of adding a conditional to it, using some inductive constructions that include Kripke’s one and feature a strong evaluation for conditionals. The new theory overcomes several problems of Kripke’s one and, although weaker than Field’s proposals, it avoids the difficulties that affect them; at the same time, the new theory turns out to be quite simple. Moreover, the new construction can be used to model various conceptions of what a conditional connective is, in ways that are precluded to both Kripke’s and Field’s theories. I would like to express my gratitude to Volker Halbach, for all his encouragement and support at various stages of this work, and for the numerous helpful and beneficial discussions on the material of this paper. I am also obliged to Andrea Cantini, Hartry Field, Kentaro Fujimoto, Ole Hjortland, Leon Horsten, Harvey Lederman, Graham Leigh, Hannes Leitgeb, Pierluigi Minari, Carlo Nicolai, Graham Priest, James Studd, Philip Welch, Tim Williamson, and Andy Yu for many useful comments on this work. I am grateful to two anonymous referees for several observations and suggestions that led to improvements. Let me also thank the audiences at the University of Florence, the University of Oxford, the University of Bristol, the LOGICA 2014 Conference, the Humboldt University in Berlin, and the Technical University in Vienna for their precious feedback. Finally, I gratefully acknowledge the support of the Art and Humanities Research Council and of the Scatcherd European Scholarship.